Some 21 million Americans have diabetes. Diabetes increases the inflammation that is associated with hardening of the arteries (called atherosclerosis). Atherosclerosis increases the risk of heart attack or stroke and the risk of chronic heart failure. Prolonged supplementation with Coenzyme Q10 may have beneficial health effects for diabetes patients. Twelve weeks of supplementation with Coenzyme Q10 can significantly reduce the levels of oxidative stress associated with diabetes. Recently, Swedish researchers reported the results of a study of the effects of daily Coenzyme Q10 supplementation on type-1 and type-2 diabetes patients. Twice a day for a period of 12 weeks, the 22 diabetes patients in the study received 100 milligrams of oral Coenzyme Q10 in the form of ubiquinone. The patients averaged 57 years of age (type-1 diabetes patients) and 63 years of age (type-2 diabetes patients). They were predominantly male patients [Montano]. Some of the patients in the Swedish study were also on statin medications. Six of the 13 type-1 diabetes patients were taking a statin medication; seven of the 9 type-2 diabetes patients were taking a statin medication. The researchers had earlier established that the level of glutaredoxin activity in the plasma of type-2 diabetes patients is higher than it is in healthy subjects. Higher glutaredoxin levels in plasma are associated with increased oxidative stress. This association suggests that the level of glutaredoxin activity in the blood might be a useful bio-marker of oxidative stress. Lowering glutaredoxin levels and reducing oxidative stress might, thus, be important in reducing the diabetes patients’ risk of developing atherosclerosis and chronic heart failure. The research question in the study was whether oral Coenzyme Q10 supplementation plays a role in lowering glutaredoxin levels. Oxidative stress is the condition caused by an excess of reactive oxygen species such as the peroxides, the superoxides, the hydroxyl radicals, and singlet oxygen radicals. Some free radicals are themselves natural by-products of the body’s metabolism of oxygen. Free radicals do have some useful functions within the cells, but they can be harmful to cells and DNA and lipids if their levels exceed the need for them and they begin to cause chains of chemical reactions. In that case, the cells need the protection of antioxidants such the reduced form of Coenzyme Q10 (ubiquinol), the vitamins C and E, melatonin, the enzyme systems superoxide dismutase and catalase, and the thioredoxin and glutathione systems. That there are so many different antioxidants is perhaps indicative of the extent of the problem of oxidative stress both inside the cells and outside the cells. Glutaredoxins are small enzymes that are part of the glutathione redox system. Glutathione itself is one of the major antioxidants produced by the cells for the purpose of neutralizing reactive oxygen species and other free radicals. Glutathione is also known to reduce Coenzyme Q10 molecules chemically – i.e. convert them from their oxidized form, ubiquinone, to their reduced antioxidant form, ubiquinol. At baseline in the Swedish study of diabetes patients, the serum Coenzyme Q10 levels were similar in the type-1 diabetes and type-2 diabetes groups and were higher in both groups than the serum Coenzyme Q10 levels that are generally found in healthy subjects. The oral Coenzyme Q10 supplementation significantly increased the serum Coenzyme Q10 levels of all of the diabetes patients. Both the patients taking statin medications and the patients not taking statin medications had significant increases in their serum Coenzyme Q10 levels. Result: the 12 weeks of oral Coenzyme Q10 supplementation significantly lowered the levels of serum glutaredoxin activity. Interestingly, sub-category analysis of the study data showed that the significant lowering of the serum glutaredoxin activity levels took place in the diabetes patients who were not taking a statin medication. 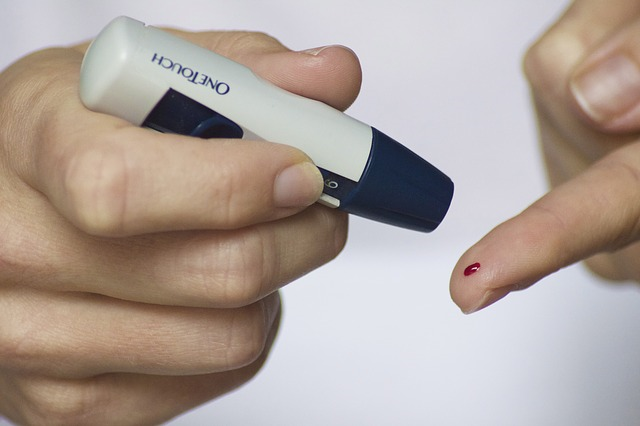 Furthermore, because of the interference of the statin medication, it was difficult for the researchers to separate out and link the relevance of diabetes type 1 or type 2 to the lowering of serum glutaredoxin activity. However, the researchers noted that two of the four type-1 diabetes patients on a statin medication did not have any lowering of their serum glutaredoxin levels at all. To provide a check on their results showing a lowering of the serum glutaredoxin activity levels, the investigators also tested total antioxidant capacity. They found a significant decrease in plasma total antioxidant capacity following 12 weeks of Coenzyme Q10 supplementation. The reduction in total antioxidant capacity was a sign of an improved, less oxidized status in the blood. The study results showed that Coenzyme Q10 supplementation has a positive effect in lowering glutaredoxin activity levels in the serum of diabetes patients, particularly in diabetes patients not taking statin medications. What about glutaredoxin levels inside the cells? To test the effect of the Coenzyme Q10 supplementation on intra-cellular glutaredoxin activity, the researchers analyzed the levels of glutaredoxin activity in white blood cells, lymphocytes, and monocytes. Here, inside the cells, after 12 weeks of Coenzyme Q10 supplementation, they found increased glutaredoxin activity. The increased activity was similar in the patients on statins and the patients not on statins. The reason for the increased glutaredoxin activity in white blood cells remains unclear and needs further investigation. Coenzyme Q10 supplementation increased serum Coenzyme Q10 levels regardless of statin treatment and regardless of type of diabetes. Coenzyme Q10 supplementation (100 mg twice daily for 12 weeks) decreased glutaredoxin activity levels and total antioxidant capacity, indicating lower levels of oxidative stress. Coenzyme Q10 supplementation’s positive effect on serum glutaredoxin levels was more pronounced in the diabetes patients not taking a statin medication. The researchers speculated that the cellular uptake of Coenzyme Q10 may be “perturbed” by the concurrent use of statin medications, leading to lower intra-cellular concentrations of Coenzyme Q10 and thus to less cellular antioxidant activity in patients on statin medications. Coenzyme Q10 supplementation has a potentially beneficial effect in slowing disease progression in diabetes patients and in slowing the development of atherosclerosis and chronic heart failure. Montano, S. J., Grünler, J., Nair, D., Tekle, M., Fernandes, A. P., Hua, X., & Ungerstedt, J. S. (2015). Glutaredoxin mediated redox effects of Coenzyme Q10 treatment in type 1 and type 2 diabetes patients. BBA Clinical, 414-20. Disclaimer: The information presented in this article is not intended as medical advice and should not be regarded as such.